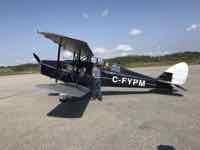 Do you know how many antique planes are out there? …How may aviation museums there are? WE NEED your contributions… …Did I whine enough? ...then you must love antique airplanes. You probably know about some aviation tidbits that we don't. Let's make this website interactive! ...and see your page right here online. Scroll on down to see the categories. You can send all of your friends and family to see it. What fun! Now we would like all of you to share your love of aviation with us and your fellow visitors to this website. 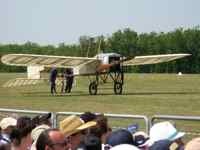 Together, we can come up with a great place to learn about all the different places around the world to see antique airplanes. Your contributions will be invaluable. To contribute to this site, simply click on the relevant link below and tell us about your favorite experience with flying, which air shows you love, which air museums we shouldn't miss... and tell us which is your favorite antique airplane... and why. We'll add categories as we think of them or as you suggest them. If you have an aviation subject that you would like to contribute to, let us know, and we'll see about adding it. The subject must be aviation related and will only be added if we think it is appropriate. Just use the "Contact Us" page. We really do want to hear from you, and honest, it's easy and won't take much time. Help us get the word out about your favorites. To Our Visitors From Outside The U.S.
We'd love to hear your story especially if you're from outside the United States. There are some great planes and museums out there we don't know about yet. Just scroll up and pick your category. You can help us find our next antique-airplanes adventure! Invite us even, we'll try to show up! If you think you'd rather set up a website of your own about your favorite antique airplanes, or flying experience, or museums in your country, we'd love to help you do that and link with us. We certainly can't keep up with everything out there all over the world -- even though we'd like to! So share your passion for airplanes, aviation museums, and air shows here, see a page online. You might like your contribution so much that you want a site of your own. The more the merrier! Solo Build It makes it easy... if we can do it, anyone can! We'd be glad to help you.